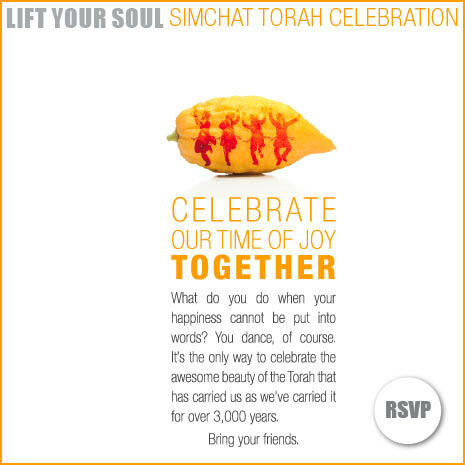 We're going wild at Chabad this year on Simchat Torah - and your going to want to be part of it! We're celebrating the ultimate joy of Judaism - the Torah! Hakafot complete with dancing, singing, Lchaims and delicious food! Bring your friends and get your Hakafot on at Chabad! In addition to the epic SIMCHAT TORAH CELEBRATION, Chabad also offers "HAKAFOT: ROUND I" and holiday lunches on day one following services and on day two following "HAKAFOT ROUND III." RSVP not required for the BIG CELEBRATION, but appreciated. Please DO RSVP for the other meals if you plan to attend. Click image above for complete schedule and to RSVP.